Now There’s More Niagara Falls Development Projects on the Go! Another $1 billion in Niagara Falls development projects is slated to begin on the Ontario side of the Falls, and was discussed in the city council this past April. Continued consultations for investment in Niagara have been ongoing between the city, the developers, and environmental groups. The city council was presented with phase 1 of the development project in the Spring of 2016, and Phase 2 is currently in progress. The city decided to announce the project to the public step by step because of its high profile price tag. This project is one of two billion dollar development projects slated for the Niagara Region in the next few years. As the Niagara Falls real estate market increases, so does the interest in creating a new, luxury lifestyle. As a result, Niagara is becoming the ultimate upscale cottage destination. The project, called “Paradise,” will be a developed community that includes parks, shops, cafes, and restaurants. It will be styled like a resort, with these amenities and activities included on the premises. In addition to the on-site indulgences, the resort will be close to many activities and hot spots. The mayor of Niagara Falls, Jim Diodati, has referred to this project as a “city within a city” and stated that it will be the biggest Chinese investment in Canadian history. Some officials have praised the project, dubbing it a “milestone” for the region. They believe this project will open the doors for more business in the Niagara Region and result in an economy boost. “Paradise” will be built near the Thundering Waters golf course, located on the Marineland Parkway. It is about a 20 minute walk, or 5 minute drive, from the falls and the casinos. The investment company heading this project, G.R. Can, is part of the GR Investment Group, a multinational corporation with developments underway in China as well as Niagara Falls. One of the many investors in this area, G.R. Can is among the top of the list. Evertrust Development is another company that also has an eye on the future of Niagara Falls, with a billion-dollar luxury condo project underway. Chinese investors are increasingly setting their sights on projects in Niagara, and it’s not just real estate. In the last few years, Chinese buyers have invested at least $30 million in Niagara’s booming wine industry. These savvy Chinese investors have brought their business smarts and economic sense to Niagara. They have given the economy a boost and brought in many opportunities for growth and development. They see the potential for growth and the value in investing in Niagara’s market now. As a result, the industries are booming. 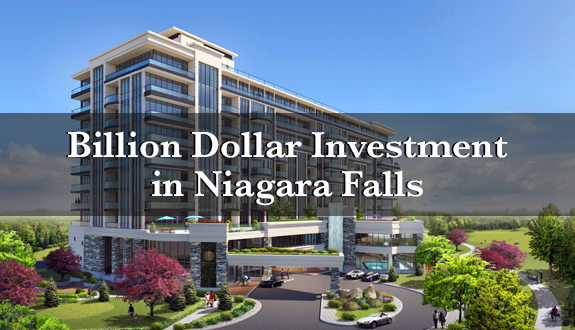 Niagara Falls is an up-and-coming area for high-level investment projects. With interest from around the world, developers are looking to the region for opportunities and projects. A luxury lifestyle is easily attainable in Niagara Falls. With nearby golf courses, spas, casinos, five-star restaurants, and award-winning wineries, this area is becoming a destination for relaxation and recreation. The close proximity to Toronto as well as New York State offers more options for day trips in addition to access to nearby airports. This makes travel easy and convenient, with everything at your disposal. Each upscale vacation development planned for the area will offer resort-style activities, amenities, and facilities. Residents will feel like every day is a holiday. From the quiet walking trails to the hustle-and-bustle of the city, there’s always something new to do. 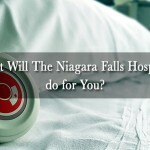 Interest in Niagara Falls is only just starting to peak and will continue to increase consistently. This area is quickly becoming a hub of indulgence for residents and visitors alike. The protection of the wetlands in the area has been up for debate. However, the developers have ensured Niagara residents that this is a major priority. As a result, 42 percent of the total area for the development will be dedicated to preserving and protecting these natural wetlands. Some wetland relocation projects are up for discussion with the city as well as efforts to conserve as much as possible when the building construction starts. This process involves transporting some of the natural plants to another area as well as designating a certain section of the wetlands to remain intact during construction. That means the beautiful landscape and green surroundings will stay in the Niagara Region and the surrounding area, offering a beautiful and scenic view for those who purchase real estate here. You can enjoy luxury living while knowing the environment is safe. Niagara Falls is becoming the place to be for vacation-style living and the creation of upscale cottage resorts. Investors are targeting the area because of its rising popularity and potential, from family-fun vacation rentals to long-term retirement living. This is a prime location for luxury living because there are so many things that the surrounding area offers. The casinos, restaurants, and attractions of Niagara Falls are just minutes away, with the addition of the natural wonder of the Falls to top it off. The quaint town of Niagara-on-the-Lake is just a short drive away and offers many spas, luxury stores, and fine restaurants. 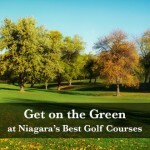 The surrounding Niagara region is home to a wide selection of wineries and golf courses, as well as rich heritage. Upstate New York is also an option, with the border crossing conveniently located right near the falls. 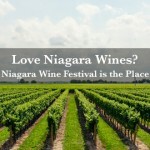 When you live in Niagara, day trips to the nearby United States for shopping, dinner, and live events are easy. Upper Vista is a pre-construction luxury condo to be built on the 18th hole of the Thundering Waters golf course. This unique project is the first of its kind, and it offers a variety of lifestyle options that are new to the Niagara region. There will be 10 stories of suites and penthouses to choose from. So whether you are retiring and looking to downsize, or purchasing a vacation property, you have options. The building will be complete with upscale amenities and modern facilities. Some of these include a yoga studio, pool and sundeck, hot tub, gardens, entertainment room, and guest suites. This prestigious building will offer residents the relaxed lifestyle they have always dreamed of, right in the heart of Niagara. Register now to see floor plans and pricing, and visit the website for more information.